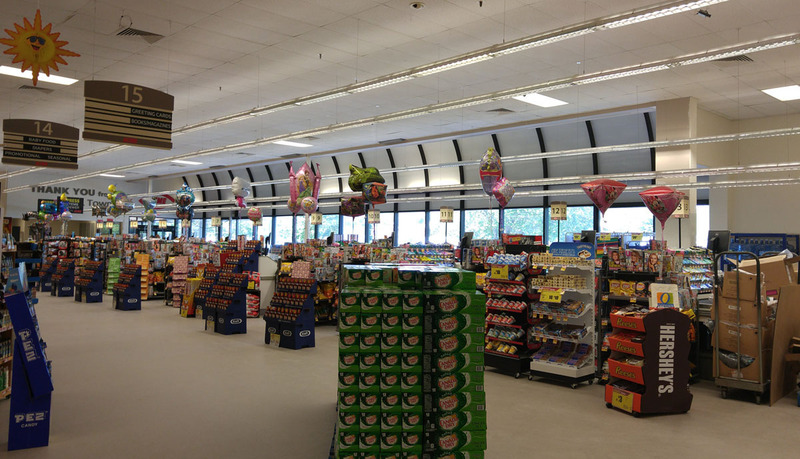 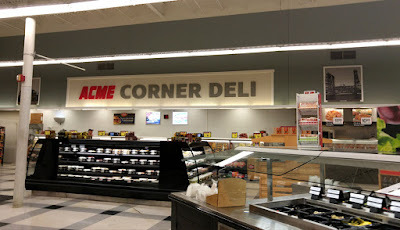 The Sea Isle City Acme Opened Today! 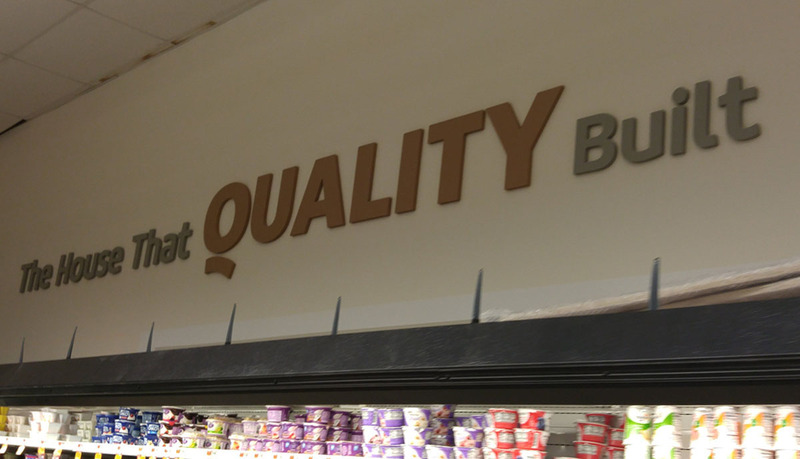 Quality Built In Wall Township! 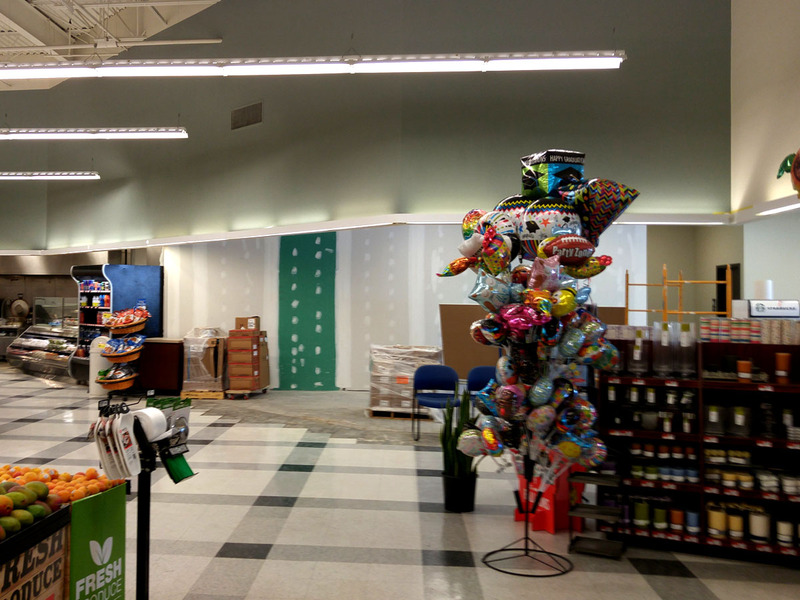 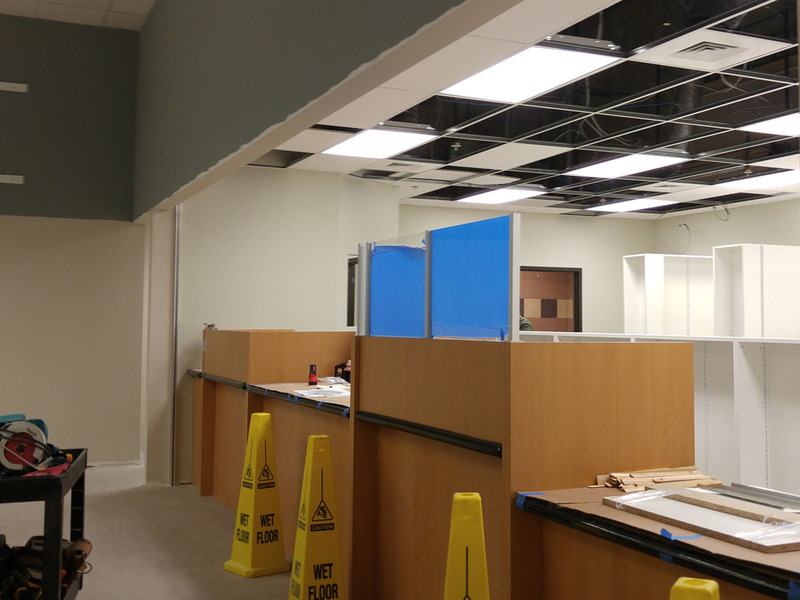 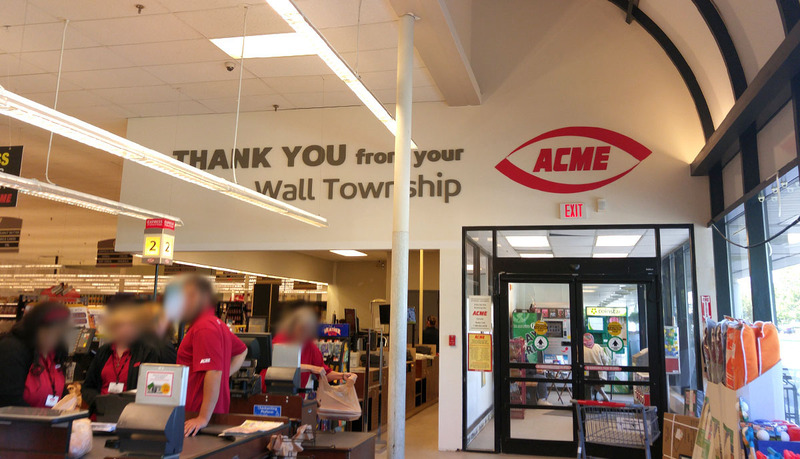 An extensive remodel is underway at the Wall Township store, one of A&P's original future stores! 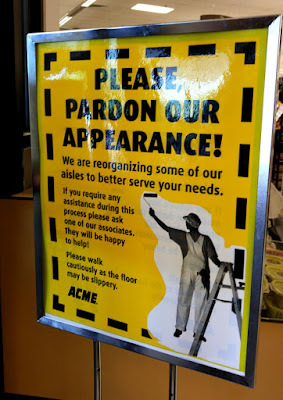 It's interesting to see what Acme is doing here considering A&P couldn't be bothered to do much of anything. 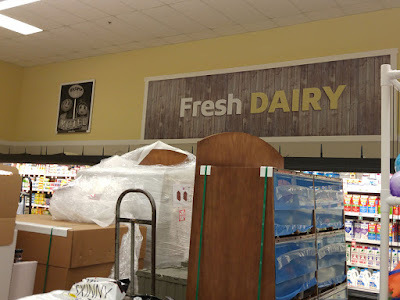 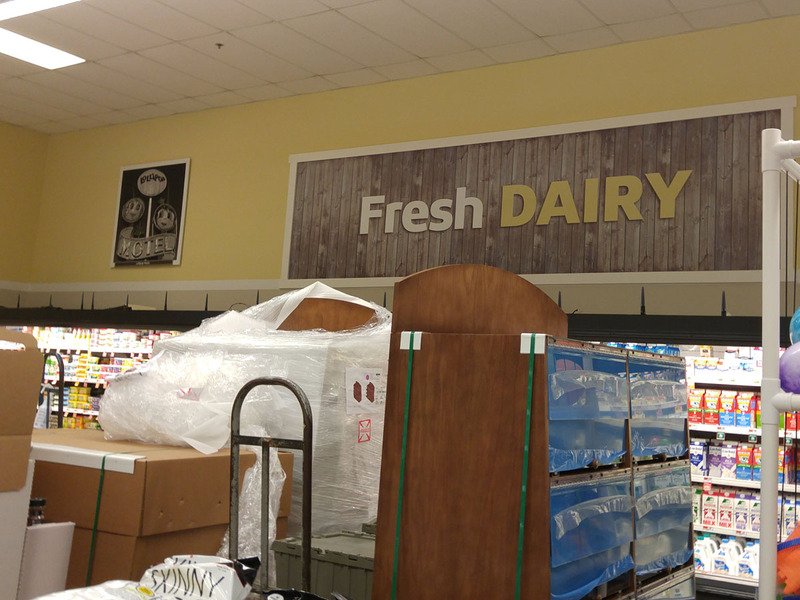 The store had a very basic "fresh" update with nothing more than a décor swap. 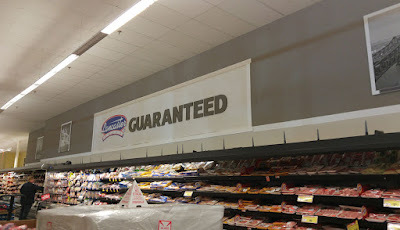 The aisle signs didn't even get replaced. 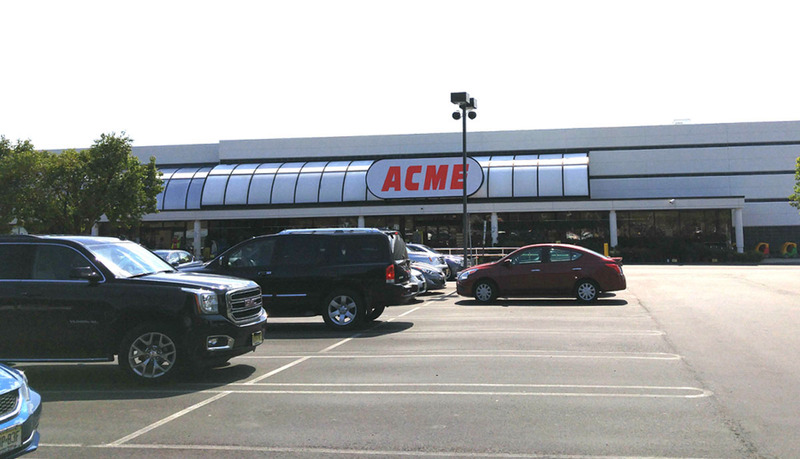 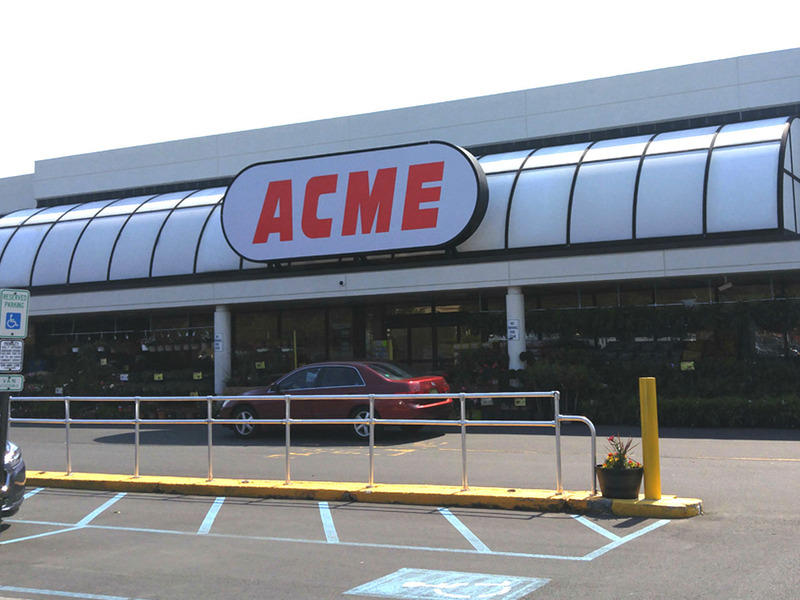 Acme, however, is pulling out all the stops to transform this location into a real beauty! A&P's coffee counter in the front corner has been removed. I belive it was mentioned in a comments section somewhere that a Starbucks is being installed here. Have to say, I love the color scheme Acme is using in these remodels. 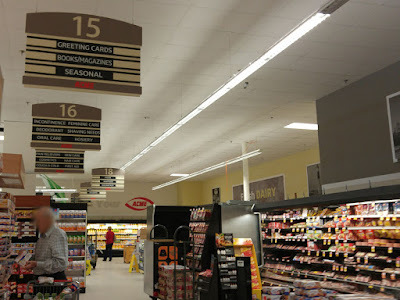 The department signs look particularly good with the lights left over from A&P illuminating them from below. 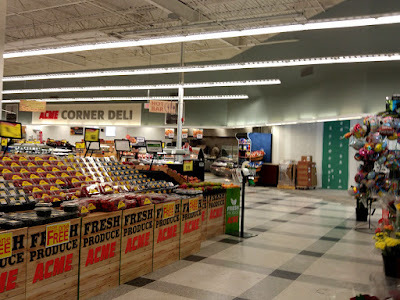 Such a huge improvement over the drab look of the A&P. 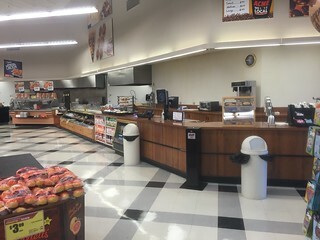 New salad bar and hot foods bar have been installed. The flooring is being replaced in other areas of the store. 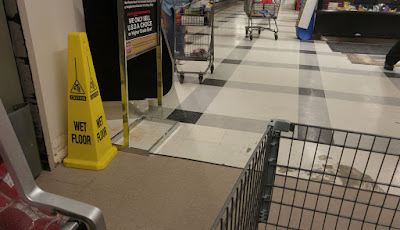 I suspect it will be replaced here once all the new cases are installed. Acme painted over A&P's farm mural that ran along the wall above the Bakery. 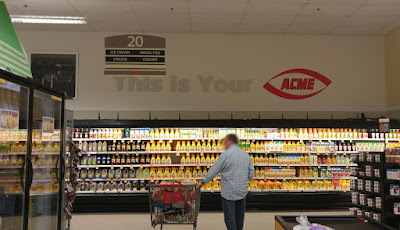 And what's this? 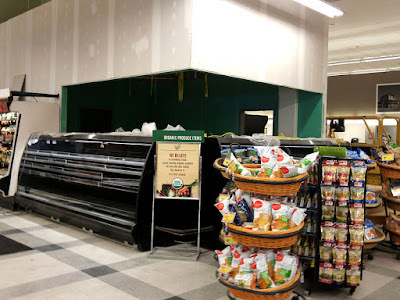 A room being built in the Produce department. 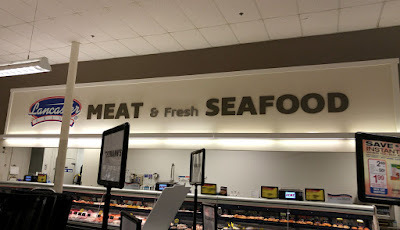 Probably for fresh cut fruits and veggies but I can't say for sure. Along back of the new Produce room. 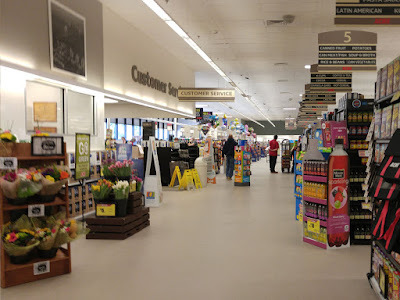 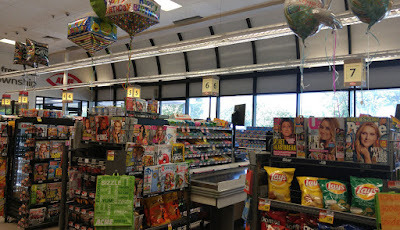 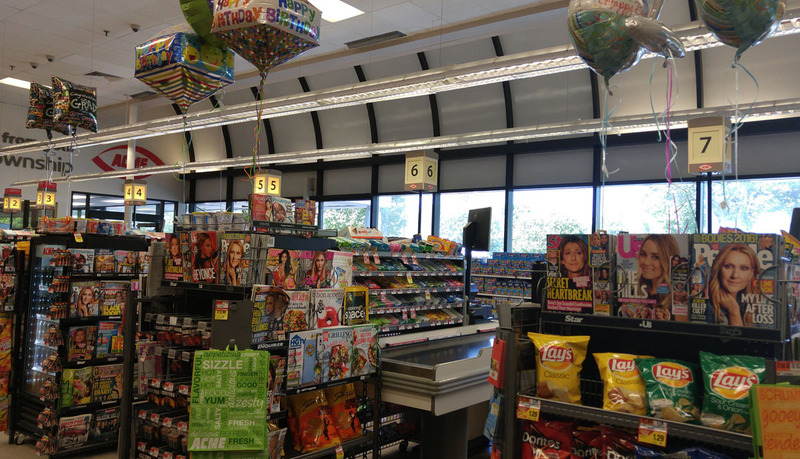 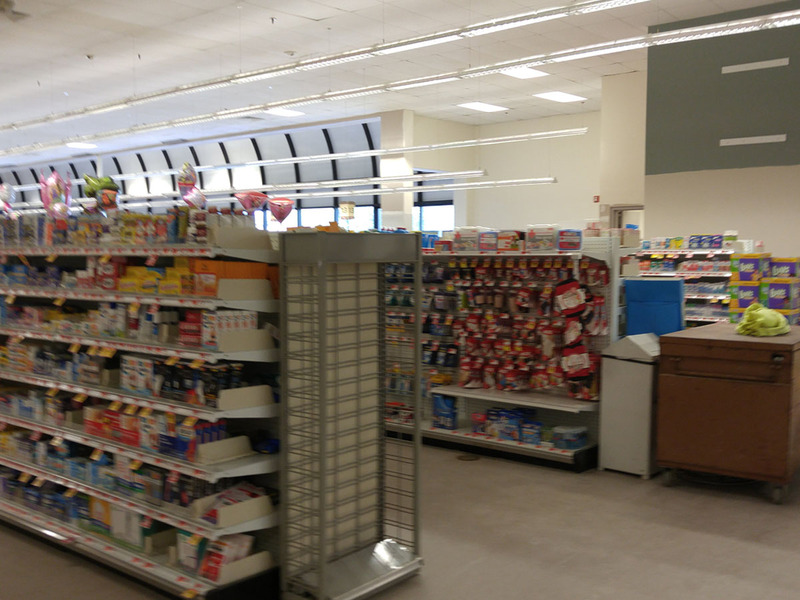 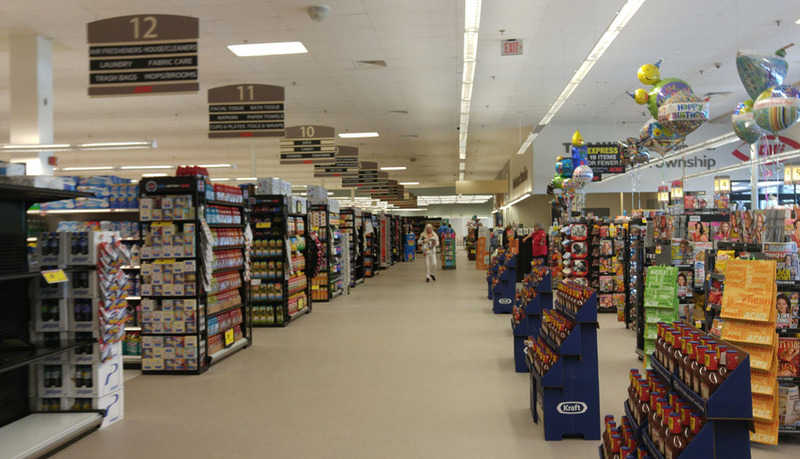 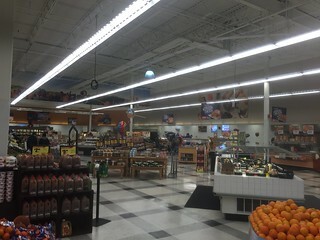 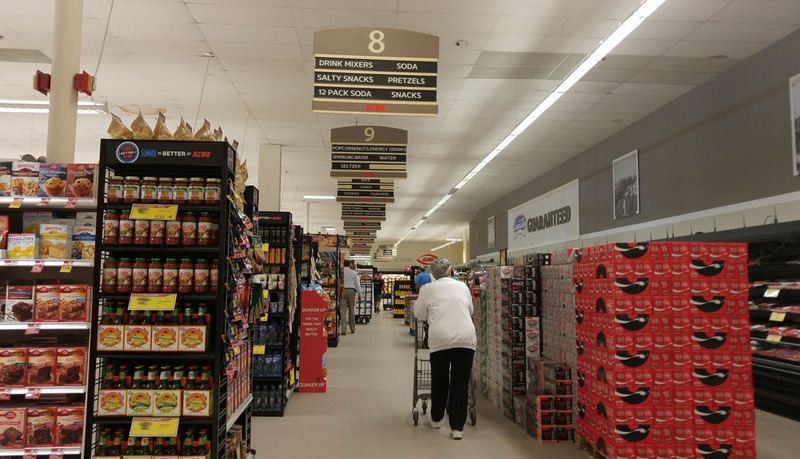 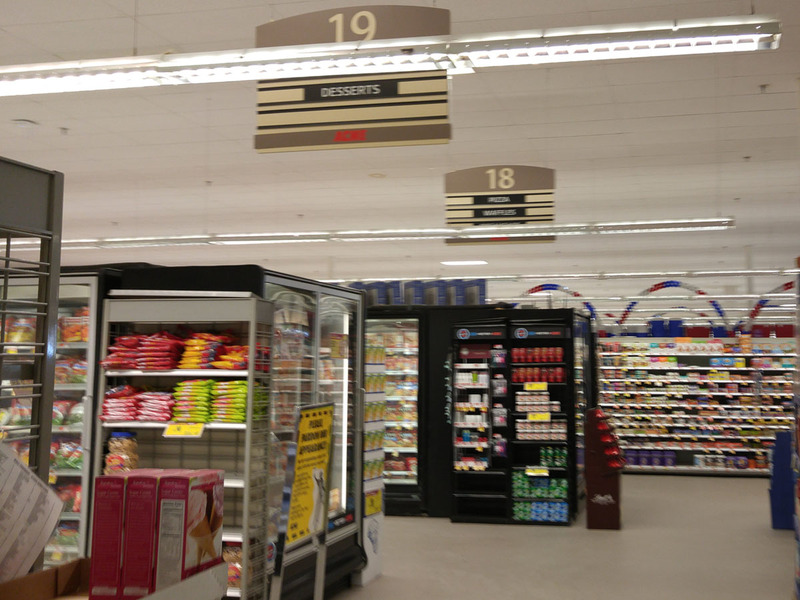 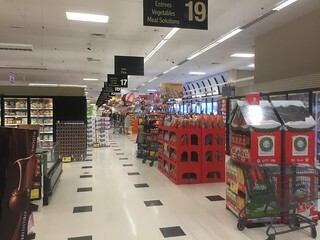 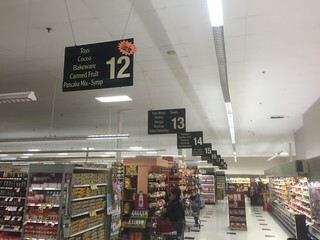 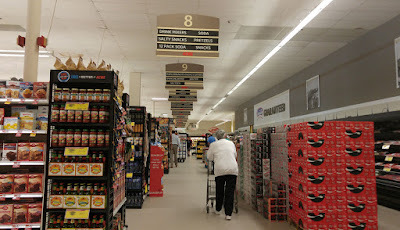 Aisle markers running parallel to the aisles just like the A&P signs previously. 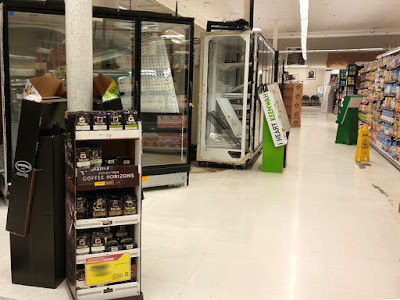 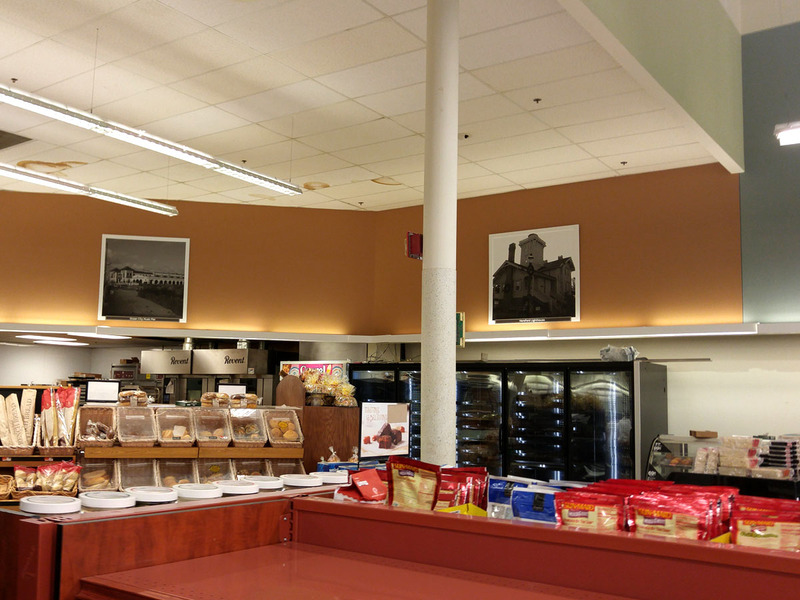 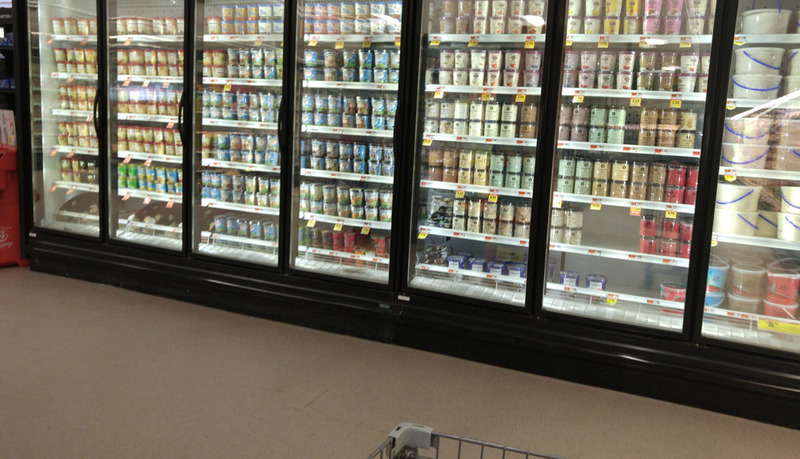 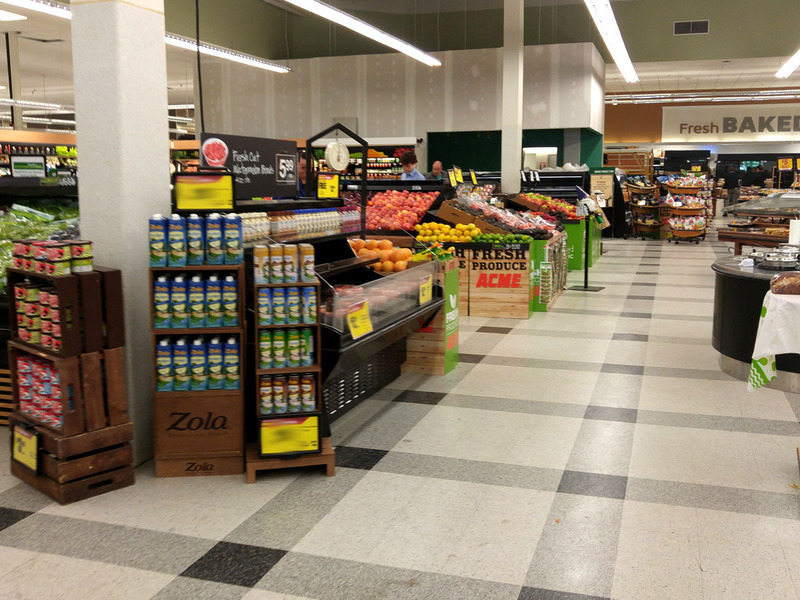 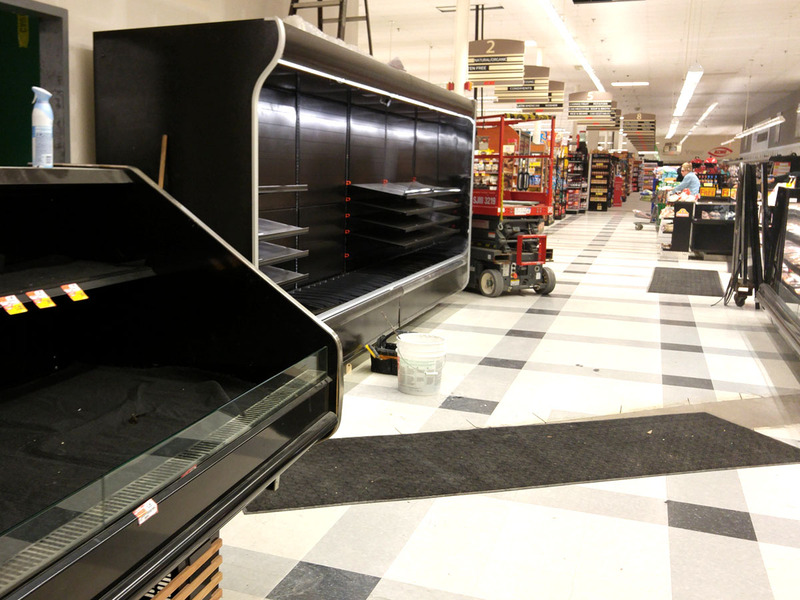 Acme replaced the center aisle of gondola frozen food cases with upright cases. 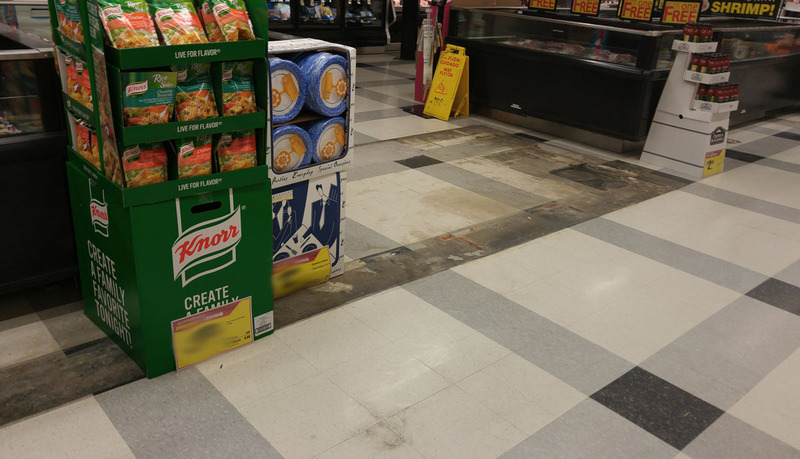 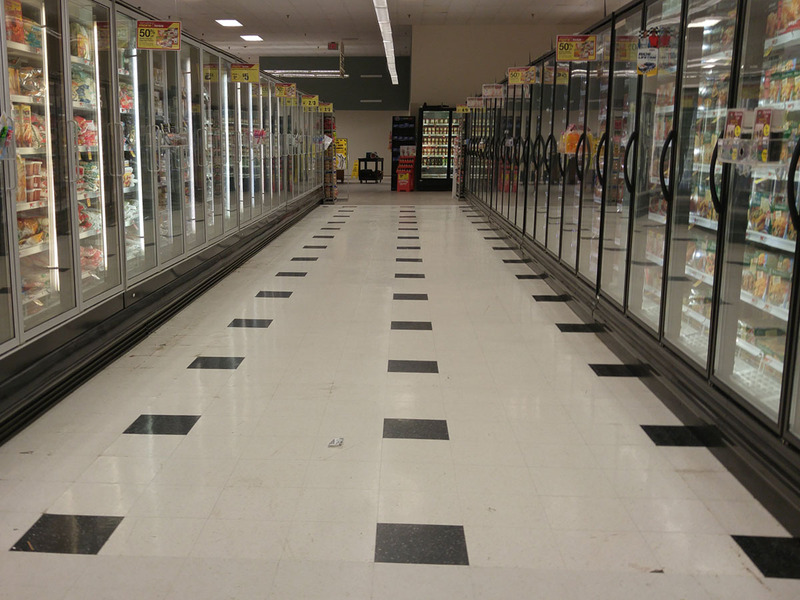 New tiling in one of the frozen food aisles. 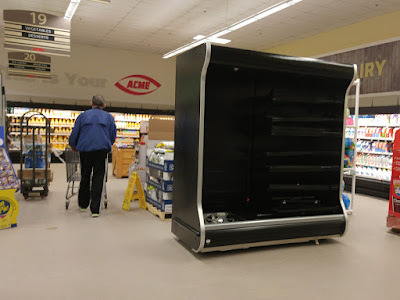 MORE new cases going in! 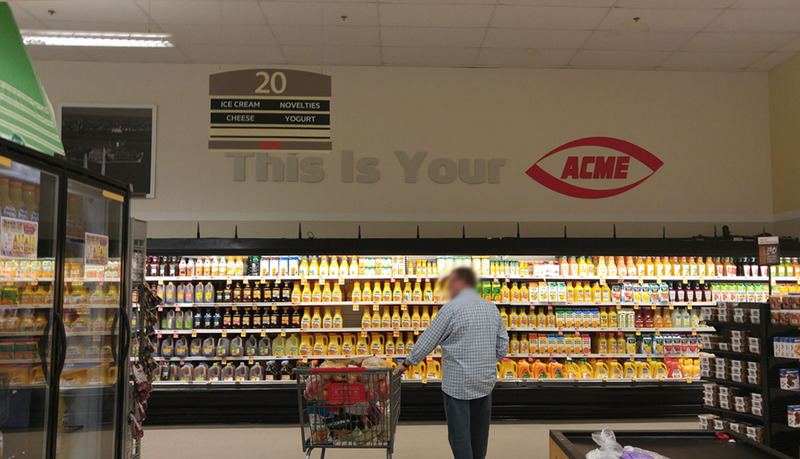 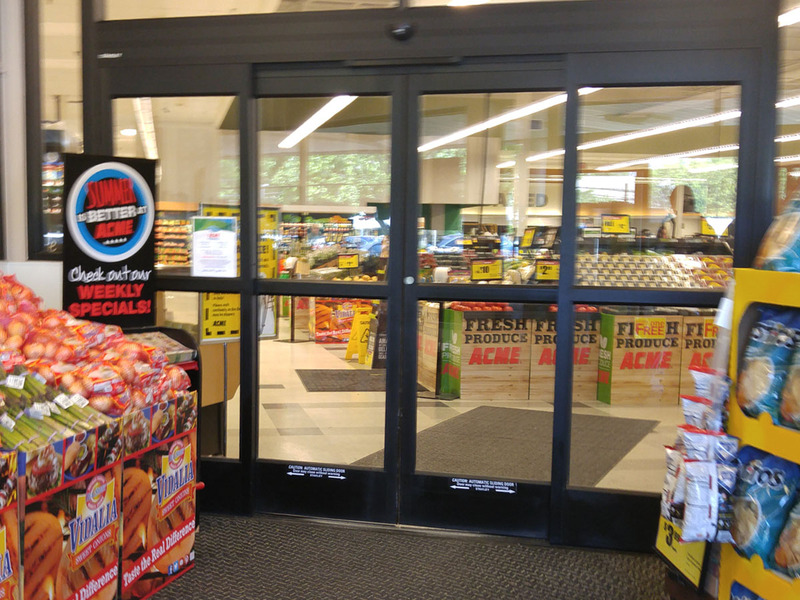 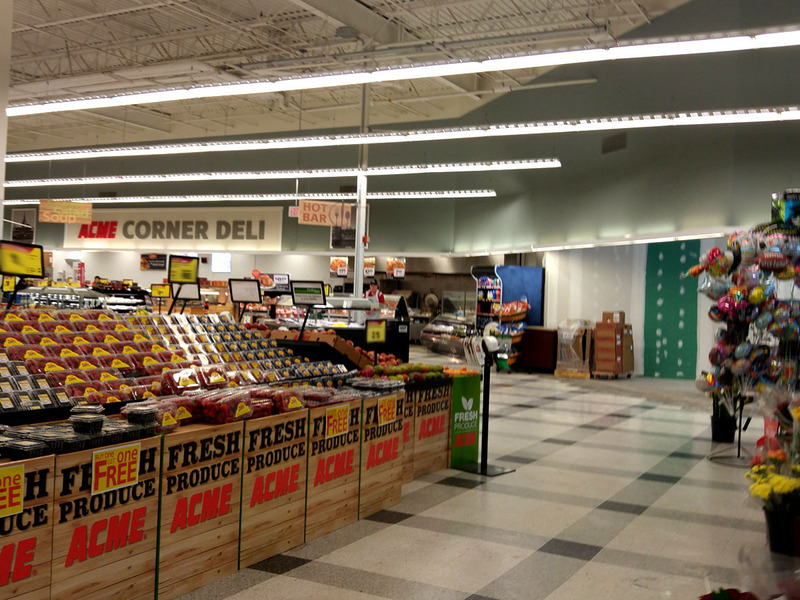 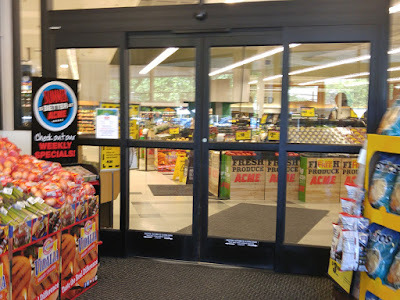 "This Is Your ACME" is a great new addition to the remodeled stores! 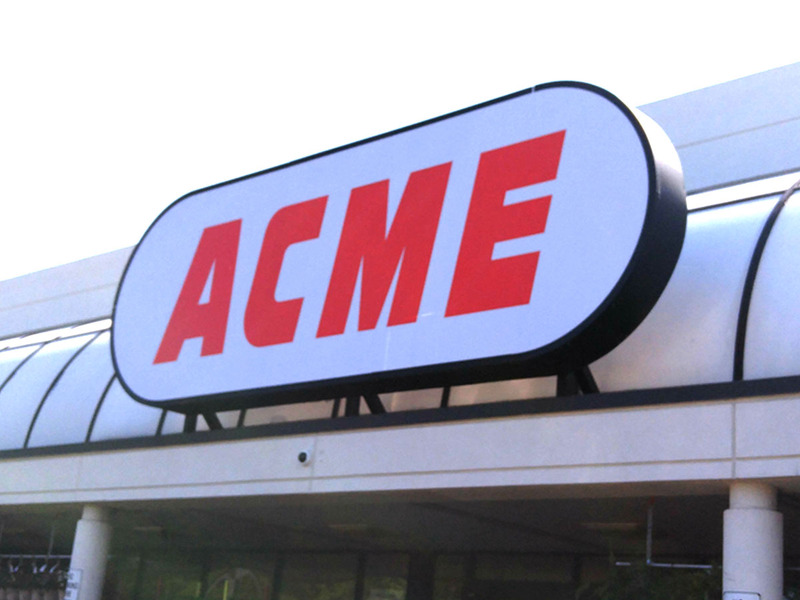 The retro logo wall seems to be getting the ax. 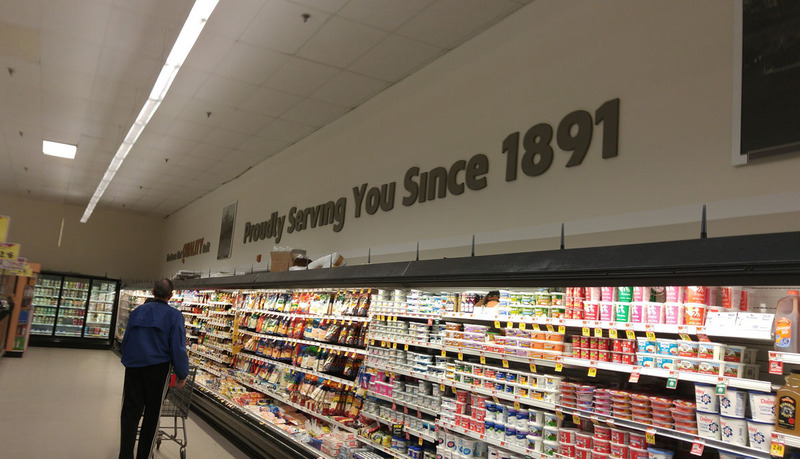 We haven't seen it in any recent remodels. 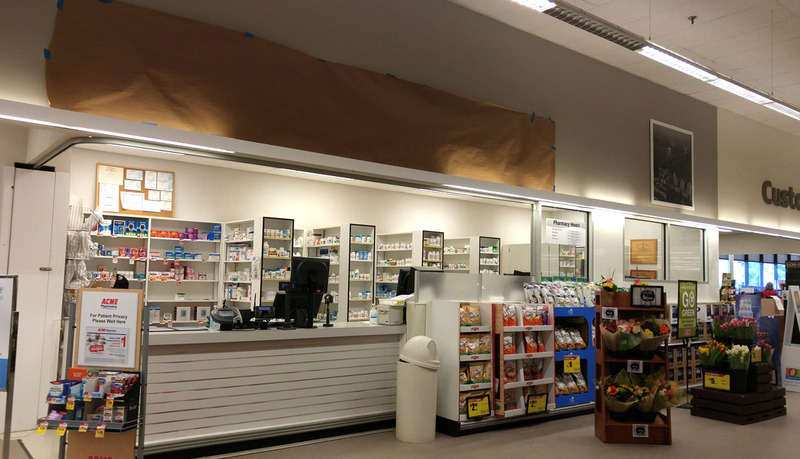 So my question here is... what sign is under the brown paper? 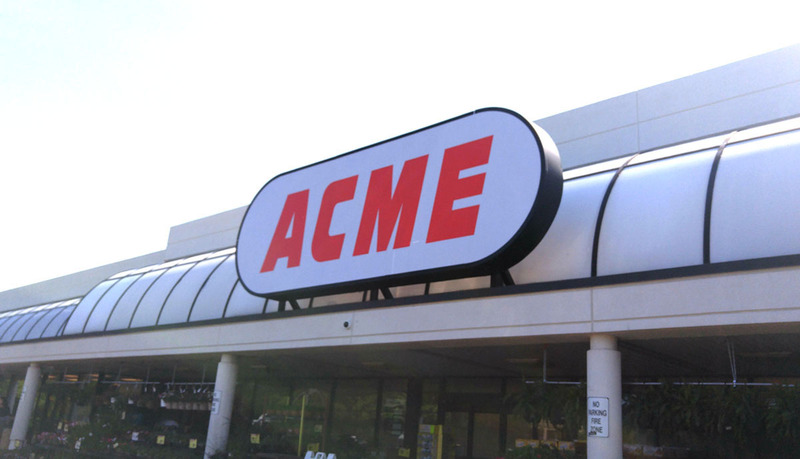 What is Acme putting in this area? 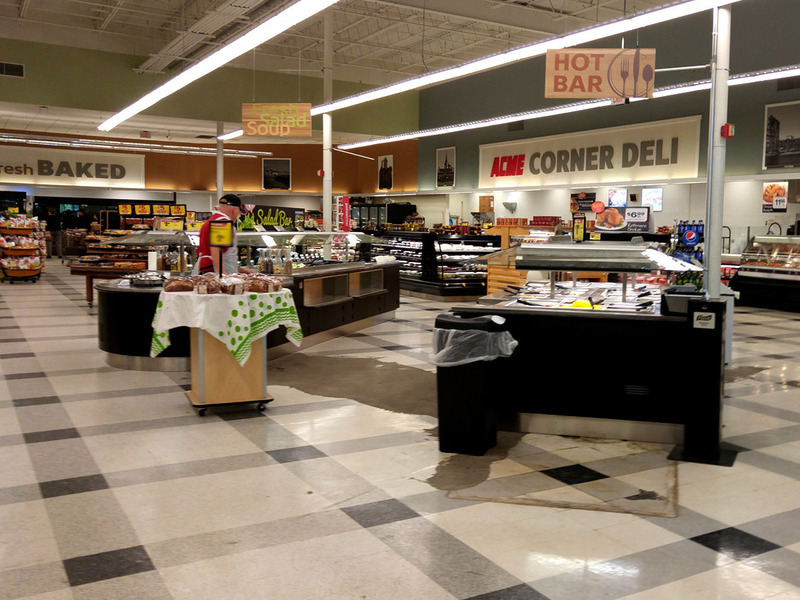 All new, sleek tiling along the front-end. 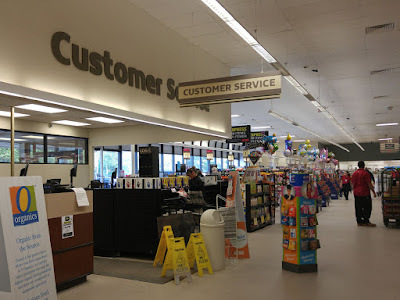 I'm really loving the simplicity of design Acme is using these remodels. 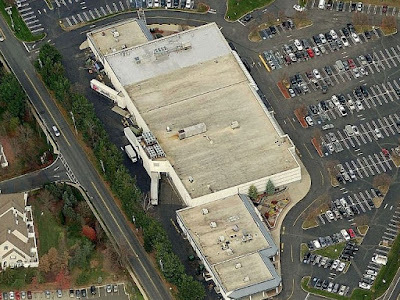 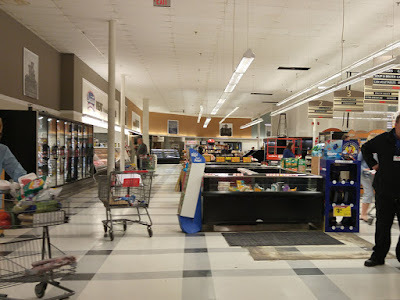 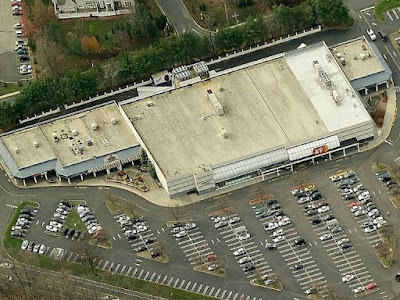 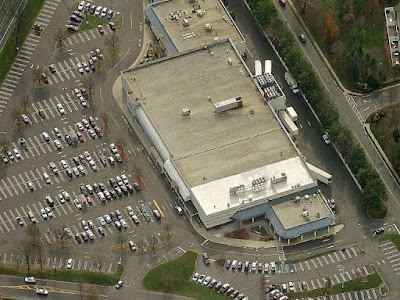 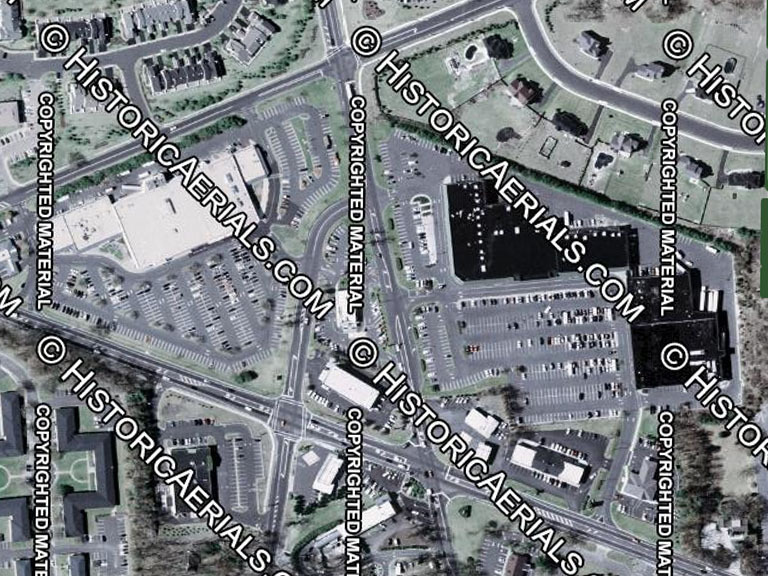 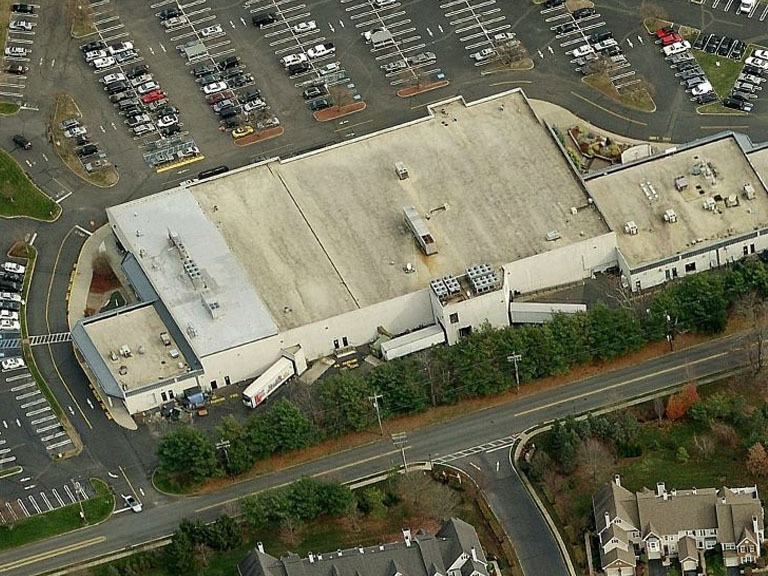 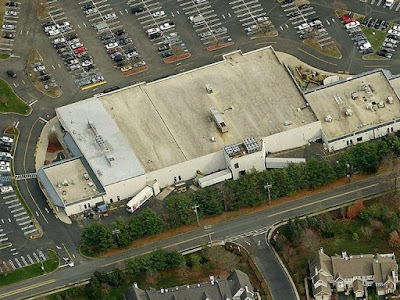 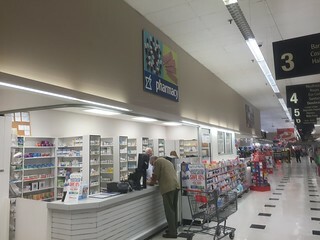 Pathmark competed with A&P for decades until it closed in 2009. 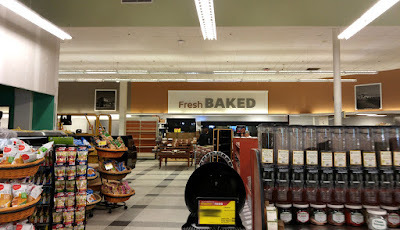 Looks like the store was expanded on the right side. 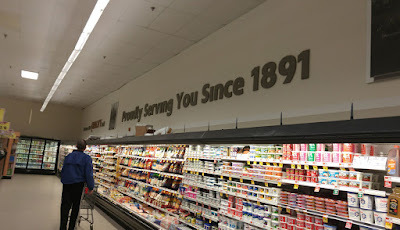 Can't go back in time any further than 1995. 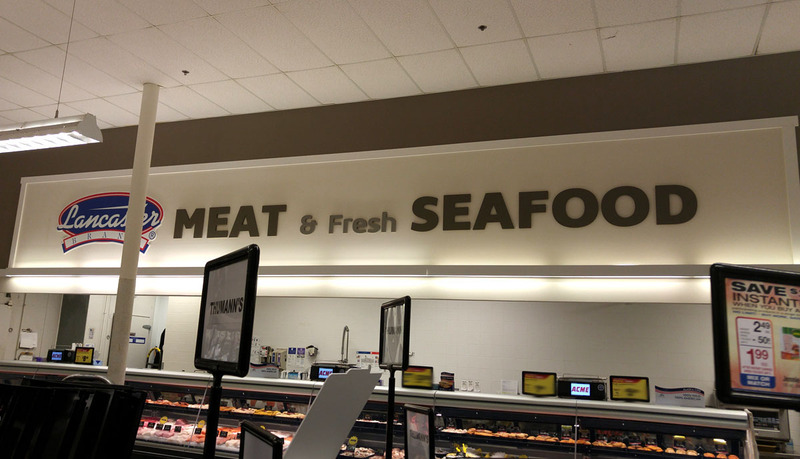 Everything looking pretty much the same here. 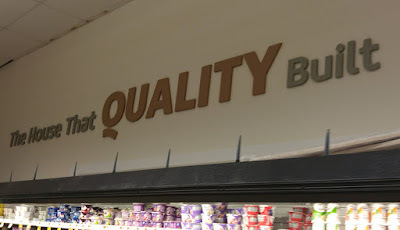 Quality Built In Ocean City! 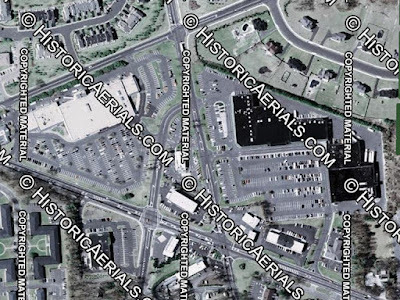 Quality Built In Wildwood and North Cape May! The new oval logo has been updated!